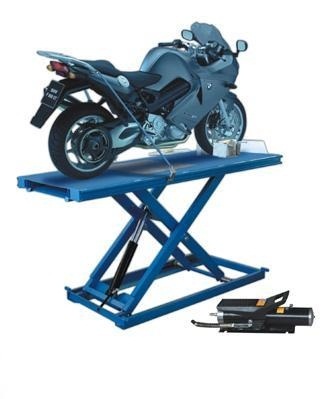 The XT-100E Scissor Lift is an electro-hydraulic lift table for motorcycles. 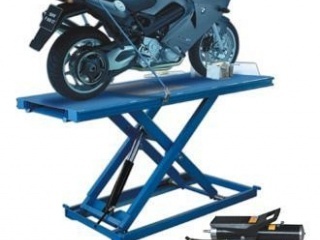 The motorcycle stays upright all the time with the wheel lock design. Manual lock to fix the lift at any height. Electric control post. Mechanical safety against accidental descent. Hydraulic safety against pipe rupture. Safety valve on the hydraulic cylinder. Removable back for working on the rear wheel.